Keshav Gangadhar Tilak, popularly known as Bal Gangadhar Tilak, who first said ‘Swaraj is my birthright’ and provided a new momentum to the freedom movement of the country was born in Ratnagiri district of the present day state of Maharashtra on July 22, 1856. His father Gangadhar Shastri was a reputed Sanskrit scholar and a school teacher. 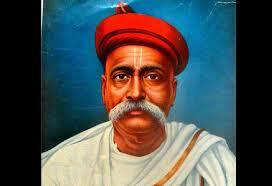 His family soon moved to Pune, where Tilak pursued most of his education. A brilliant student, Tilak was amongst one of the first generations of Indians to receive a college education. He obtained his matriculation degree in 1872. Tilak had a special interest in mathematics, which he eventually taught as a school teacher. He continued his higher education at Deccan College in Pune where, in 1877, he earned first class Bachelor of Arts degrees in Mathematics and Sanskrit. In 1879 he obtained his LL.B degree from Government Law College of University of Mumbai. Despite being a vocal critic of the English education system, he emphasized the importance of a good education and higher studies among the youth of India. After his studies, Tilak turned down many lucrative job offers in the colonial government and started out as a school teacher and gradually became an advocate of modern education among Indians. With this purpose, he founded the Deccan Education Society in 1884, along with other like-minded Marathi educationists. The Society established the Fergusson College (1885) and the New English School in Pune. He chose to devote himself to the larger cause of India’s freedom struggle and national awakening. He realized the importance of women education and women empowerment in a society and worked throughout his life to popularize these ideas, both as a social activist and journalist. 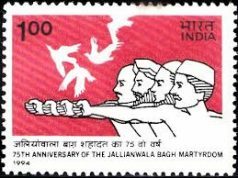 Tilak cofounded two of the most prominent newspapers in Maharashtra; the Kesari in Marathi and ‘The Mahratta’ in English in association with Gopal Agarkar and Vishnushastri Chiplunkar, both noted figures in the freedom movement. Agarkar left Kesari in 1887 to start his own newspaper Sudharak (The Reformer) after which Tilak continued to run the paper on his own. Tilak used his newspapers for three main purposes other than dissemination of news. First: to bring into light the injustices meted out by the alien rulers and insensitive administration. In the first issue of Keshari, the Marathi weekly, which was founded in 1881 he wrote: Just as street lights and rounds of police constables bring to light anything wrong or unjust happening on the roads in the dark, the editorial pen brings to light the injustices and wrongs of the administration. In fact the editorials of Kesari were generally about the suffering of the people under the British administration. Second: to form public opinion. During the trial of a sedition case against him in 1908 for the strong articles that he wrote in Kesari, he argued in the court that “it is the duty of a newspaper to form public opinion”. Tilak as an editor often used to call people to fight for his or her rights. Third: to propagate rational thought. Often his thoughts were not in sync with the popular sentiments. He believed newspapers should follow rational thinking. As a freedom fighter he wanted mass uprising. Many disapproved the ways and means he chose, especially the religious symbolism. He along with Lala Lajpat Rai and Bipin Behari Pal formed the extremist faction (called Lal-Bal-Pal) of Congress which had tiff with the moderate faction of the party. Hard life at jail, disease and age mellowed Tilak towards the end of his life. He died on 1 August 1920 at the age of 64. A recent survey says potholes in India claimed nearly 3600 lives in 2017; while terrorists killed 803. Potholes are more lethal than terrorists. But we don’t seem to mind them. Because, often we are responsible for creating them in the first place. We dig up the road on every conceivable occasion. Come any puja or rally or programme we’ll dig up the road to erect huge ‘gates’ and put up banners. We’ll not fill it up properly. Gradually potholes appear. Some of them grow in size of a small pond. We discharge rainwater on the road instead of drain- thus creating potholes. The administration also never takes potholes seriously, or probably they do- on pen and paper. The potholes are never repaired properly until it grows in size and create serious inconvenience or cause accidents. My student Rudra Prasanna Rath, who works in development sector and passionate about sports is trying to whip up a campaign against plastic bag use. He wants people to use cotton bags, as people used to do before the cheap polythene bags became ubiquitous. He has taken to social media to spread the campaign. He wants people to post photographs with their cotton bag and tag friends asking them to show their cotton bag. Interesting campaign! Readers of this column may use this twitter handle #whereisyourcottonbag to know more about the campaign. A quick google search tells me that the total population of all the countries that went to 2018 World Cup semifinals is just above 13.5 Crores (France: 6.69 cr. Croatia 42 Lakhs England 5.30 Cr Belgium 1.13 Cr). Population of India is 125 Crores. UP alone has a population of 20.42 crore. We failed to qualify to play in the Finals. In fact in the qualifying rounds we lost to countries like Oman, Turkmenistan, even Guam. In the list of the football playing countries of the world we are ranked 97, though we have been playing this beautiful game for over a century. In fact Indian National Football team has been playing international matches from early 1930s. Indian Football team was once considered one of the best teams in Asia. It had its golden era during the 1950s and early 1960s. During this period, under the coaching of Syed Abdul Rahim, India won gold during the 1951 and 1962 Asian Games, while finishing fourth in the 1956 Summer Olympics. Then after the decline started. To cut a long story short: we had played the game well. We can do it now. Look at the France World Cup Football players. Presnel Kimpembe is from Congo, Samuel Umtiti from Cameroon, Paul Pogba is from Guinea. The team has players who hail from African countries like Nigeria, Senegal, Mali, Togo, Angola, Morocco and Algeria. There are few players who actually hailed from France. On a different and serious note, sociologists saw hope for globalization in this. In an era of ultra-nationalism- this definitely is good news. 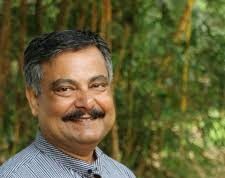 Mrinal Chatterjee, a journalist –turned media academician lives in Central Odisha town of Dhenkanal. He also writes fiction. English translation of his Odia novel Yamraj Number 5003, Shakti and compilation of his columns Window Seat have just been published.